Intent on ending his misery, Ben Layten merely adds to a laundry list of embarrassments. So it’s no surprise when subsequent efforts to connect with the woman who was nearly his adoptive sister send him into a darkly comic tailspin that leaves him questioning every relationship in his life, as well as his increasingly tenuous grip on reality. Jason James‘ sophisticated film poignantly questions whether it’s ever advisable to let things go. This year’s Miss604-sponsored film at the Vancouver International Film Festival (“VIFF”) is Entanglement. 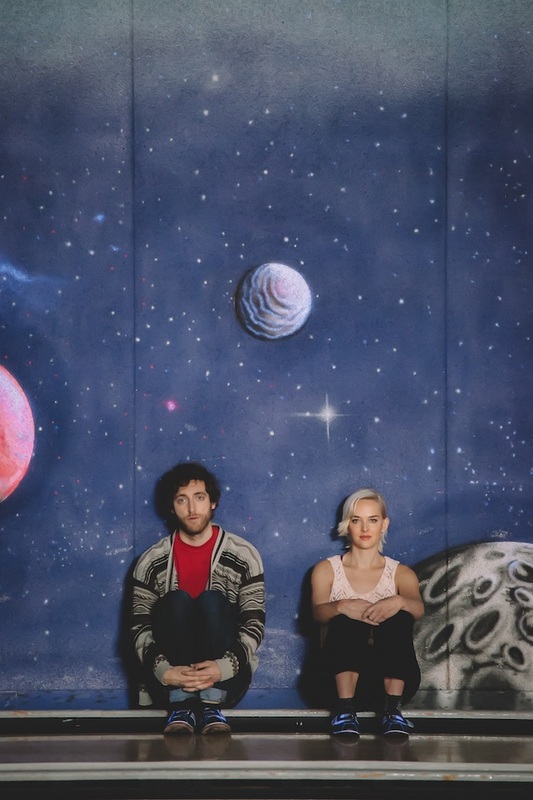 It is an affirming comedy/drama about mental health that stars Thomas Middleditch (Silicon Valley, The Wolf of Wall Street), Diana Bang, (Seth Rogan’s The Interview), and Jess Weixler (Good Wife). The script is by Jason Filiatrault (Young Drunk Punk), and produced by Amber Ripley (Sitting on the Edge of Marlene). I had a chance to chat with its director, award-winning producer/writer/director Jason James (That Burning Feeling) who is no stranger to VIFF, being a Vancouver local and winner of Best First Canadian Feature at VIFF in 2013. 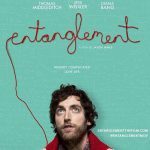 Entanglement premiered at the Seattle Film Festival, opened the Brooklyn Film Festival so while it will have its Canadian premere at VIFF, Jason has had a chance to see the audience’s reaction already, which he’s found fascinating. “The film talks about mental illness, depression, loneliness, and pretty dark subject matter but it’s sort of treated in a very lush, beautiful, poetic way.” What he has loved so far about the screenings is that a conversation follows. With Thomas Middleditch as Ben, Jason feels that audience got to really see a different side of the actor, who is originally from BC but has garnered international acclaim and success through Silicon Valley, and is currently working on Godzilla: King of Monsters. Jason is currently slated to direct the feature film The Mother Outlaws for Brightlight Pictures. He is also developing the comedy TV series Sleeping Around for Corus/Shaftesbury Films and Lady Business for Bell/EOne Television. Entanglement is part of the BC Spotlight at VIFF this year and you can vote for it as a #MustSeeBC film here until September 25th. The winning film will receive the #MustSeeBC audience award and a special red carpet screening. Note: The Rio Theatre is a 19+ venue. I will draw two winners at random from all entries at 12:00pm on Wednesday, September 27, 2017. Follow VIFF on Facebook, Twitter, and Instagram for more information about the festival, its events, special guests, and films. Update The winners are Rachelle and Stephanie! Love to see this made in BC film. Thomas Middleditch is a really interesting actor, I am glad to see him move into more dramatic territory with this BC made film. I saw the director speak about the multiple universes in the film and how it’s really a film about mental disorder. It’s good to see a movie tackle the issue of mental health. I’d like to see this. Yay! VIFF is coming back. I can’t wait. Definitely interested in seeing this! VIFF! a time for great movies and docs to be in town. Sounds interesting! I like that actor. Please enter me in the VIFF contest,. already Tweeted. Hadn’t heard of this film before this, but sounds like a film worth checking out. Great contest for Silicon Valley fans. THis looks so good. I love quirky, interesting characters on the big screen.